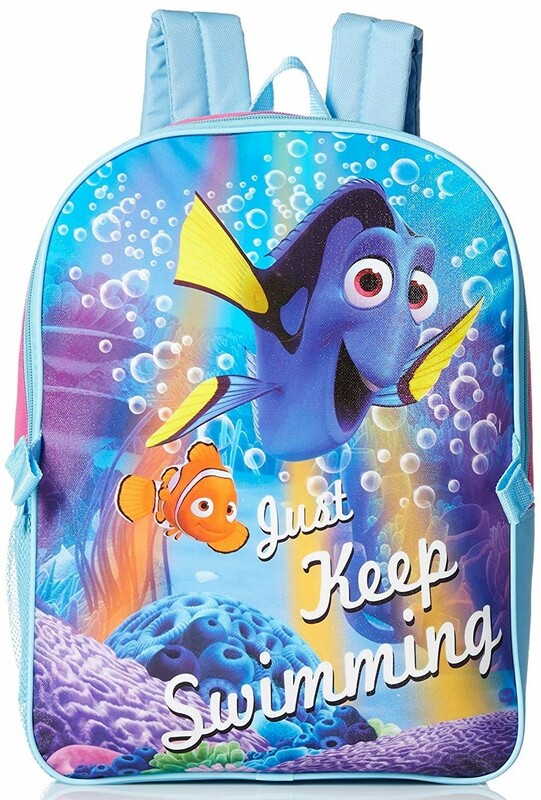 This backpack features everyone's favorite fish, Dory, with her famous motto! 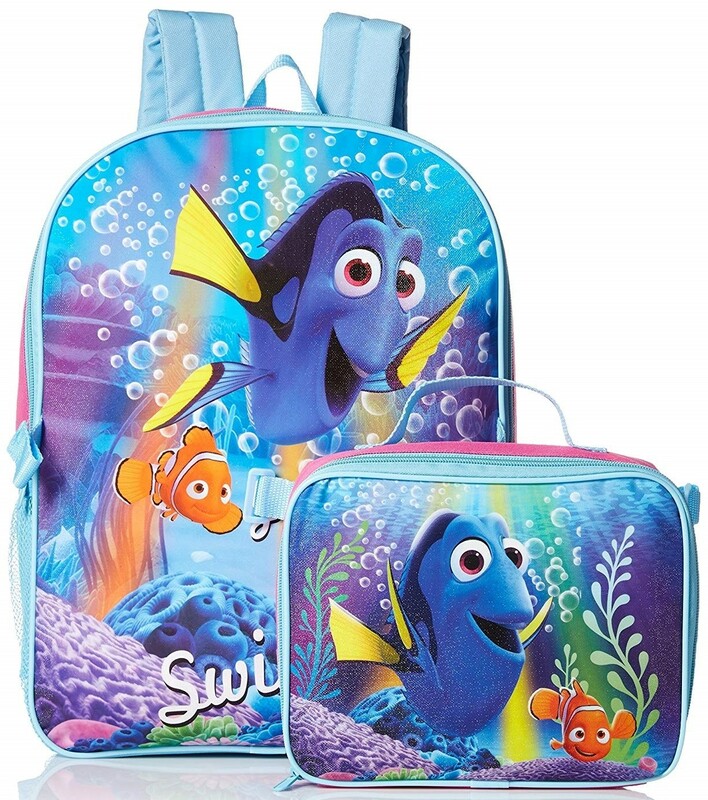 The 100% polyester backpack is 16 by 12 inches and has adjustable straps and a mesh side pocket. The 7.25 by 9.25 lunch kit is insulated to help keep food at the right temperature until it's time to eat. Backpack and lunch bag snap together to make it easy to carry everything. 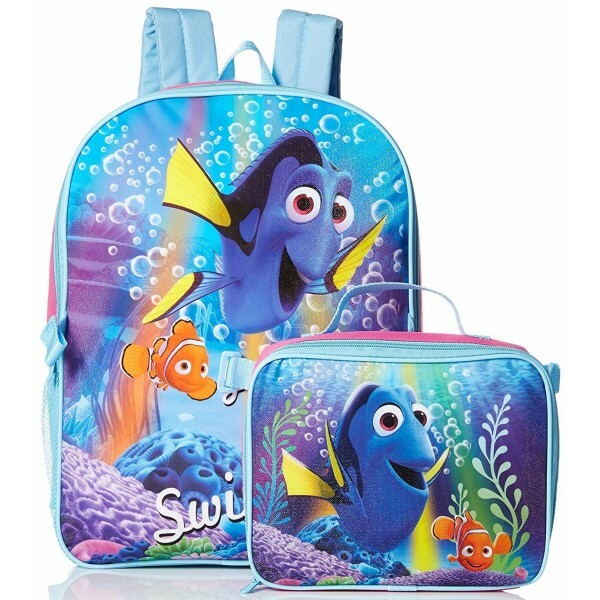 For more backpacks and lunch bags, please see our Bags / Packs section.